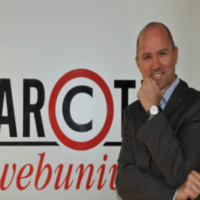 Tomi Ilijaš is founder and president of Arctur, holding a BSEE degree from Ljubljana University. Mr. Ilijaš is an entrepreneur with focus on Hi-Tech innovation and has shared his knowledge and experience to many startups and spin-offs in the region. He is researching new business models in HPCaaS and successfully breaking the barriers in bringing HPC to manufacturing SMEs.